Japan’s main trading venue for commodity derivatives saw an upsurge in daily trading volumes during the month of June. The exchange which merged in 1984 to form the country’s single venue for commodities trading saw volumes increase 6% from figures reported in May. The news comes on the back of erratic trading in global energy and precious metals on the back of political tensions. The venue saw an uptake across its main futures contracts, particularly crude oil and platinum. The firm’s benchmark platinum contract, the world’s most liquid platinum (contract), saw activity increase by 7.1% to 18,653 contracts. 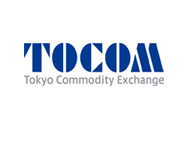 On the other hand, East Asia’s most liquid gold contract, TOCOM Gold (quoted in yen/ grams) performed lower than May’s figures, activity in the yellow metal was down 3.3% to 26,775 contracts. Precious metals trading has been impacted by tensions in South Africa and Russia, the major suppliers of platinum & palladium, both metals holding significance on the international markets as they are primarily used to clean emissions in automobiles. The mayhem that affected South Africa for five months came to a close last week after mining workers had gone on strike, thus resulting in the renewed supply of platinum. “The outcome is unclear of the strikes, however things are getting back to ‘normal’ and prices should stabilise,” explained Arek Okrasa, an analyst at London Trader, in a comment. The Tokyo-based commodity trading venue has been developing its position as a strong alternative for commodity contracts in the Asia region against its US competitors. The exchange has seen a build-up of foreign participants transacting, as Asian-based traders look for viable contracts during the Asia trading hours. Overseas participants account for 40% of total trading volumes at TOCOM, according to the exchange. In a bid to further enhance its position, TOCOM recently established a direct link to the CME though KVC’s low latency network. The connection will enable TOCOM’s data centre to link-up with the Chicago Mercantile Exchange’s data centre in Aurora and Cermak, Illinois. Trading volumes in energy CFDs are expected to jump in light of the global issues impacting the price of crude oil, Forex Magnates expects multi-instrument FX brokers to see an increase of 3-5% in oil CFD trading this summer.